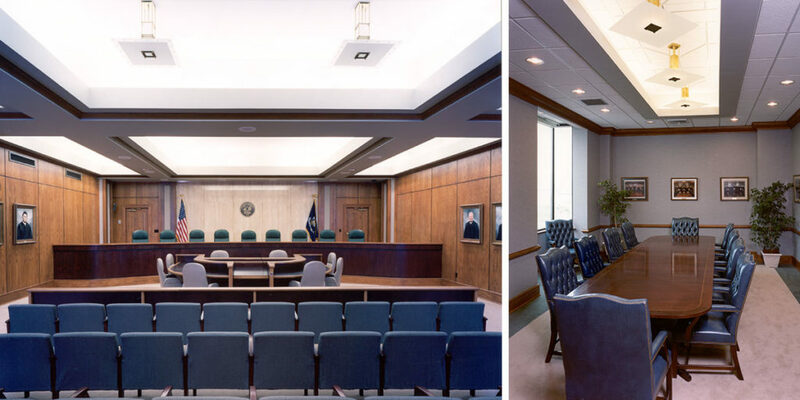 VRA designed a 40,000SF court house located in Jefferson Parish, Louisiana. The three-story facility incorporates grade level parking with two floors above for judicial functions. 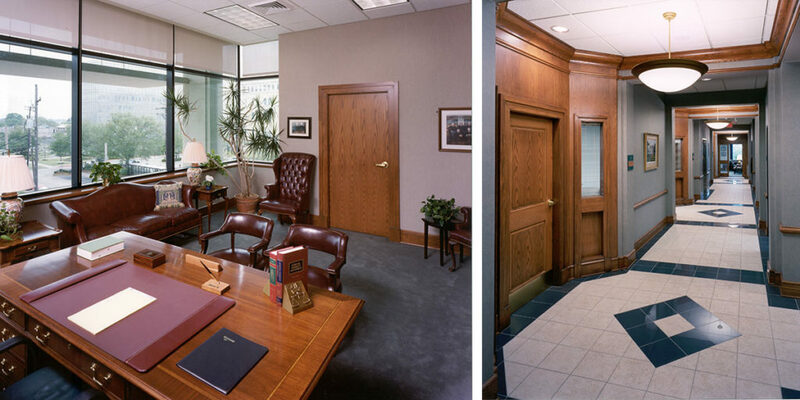 The facility contains two courtrooms, the Clerk of Court and administrative offices, and outdoor courtyard spaces. Individual suites accommodating each of ten judges, as well as conference rooms and dining room, are located on the third floor, with extensive glazing offering sweeping views of the Mississippi River and the New Orleans city skyline. 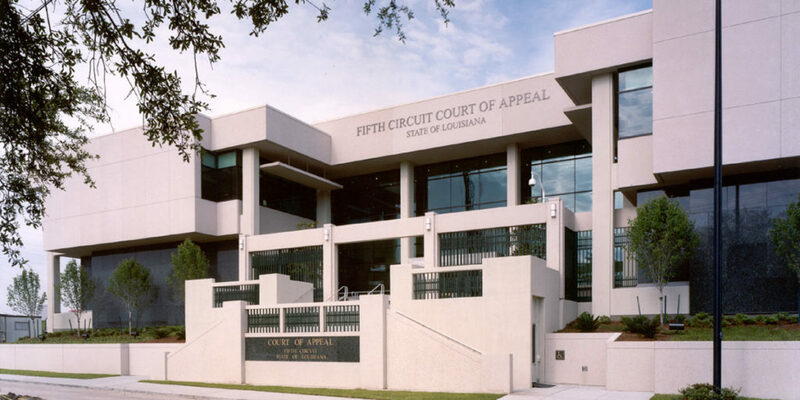 The Fifth Circuit Court of Appeal Court House earned an AIA Committee on Architecture for Justice Design Award, as well as being featured in Retrospective of Courthouse Design, 1999-2001, published by the National Center for State Courts. The facility was also honored with a People’s Choice Award sponsored by a New Orleans weekly newspaper.